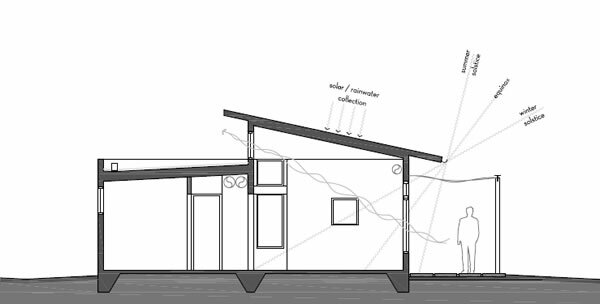 Prefab Passive Solar Green Homes: Green Modern Kits! Modern SIP House Kits! 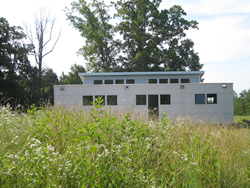 Green Building For The Rest Of Us! 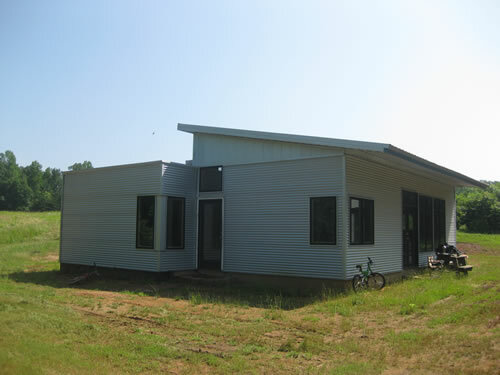 1,200 square ft., 3 bedroom, modern green house. Radiant heat in a thermal mass poured concrete floor, rainwater cistern, passive solar, active solar, wood stove, and more. See the floorplan here . Statement: This is not green building for huge-home fashionista types. Oh, it's coolio, and oh it's green. 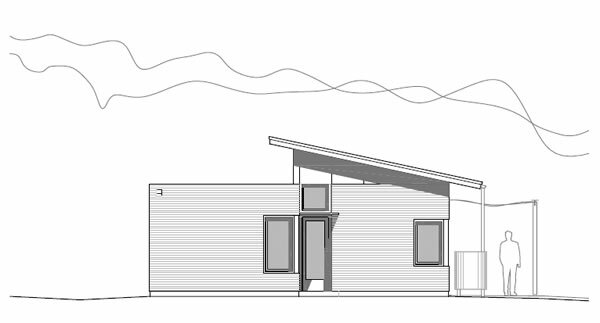 But this is a green, gorgeous modern home for those with a practical bent. We kidnapped David Day, held him to the standards of the middle class budget, and created something a family that entertains often can live in, happily, and grow through all their life-phases easily. Really, isn't that what we all want? casa ti starts around $30,000. Contact us to discuss the casa ti! We cut amenities like a second bathroom/tub to allow more space to live and enjoy our life. Isn't the point to be playing outdoors? Aren't we busy doing stuff instead of mooning over our reflection in the bathroom mirror? Don't you want to accommodate more people to sleep over/allow your family to grow? I admit I went a bit extreme in my own casa ti in that I nested the energy efficient fridge in a center kitchen island and ditched the freezer to the barn. But we're not fans of ice, just cold water in the fridge. We eat fresh food. The freezer is less important, and quite frankly I enjoy harkening to the days of the ice box, but with modern technology. For those of you that do want the freezer/fridge, and I understand why you do, we incorporated more space for systems and stove/laundry/off grid systems for you... Hence the 1,200 square foot casa ti. 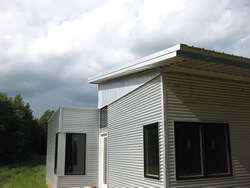 Each SIPs house kit is fabricated by the plant closest to you geographically. 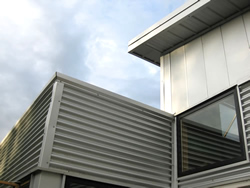 The Wall and Roof Panels are SIPs (Structural Insulated Panels) which provides great insulation. 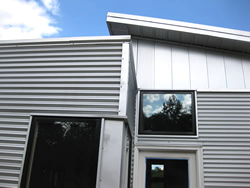 In fact, the R value for the 8 3/8” roof panels has an R-value of 29.3 when tested at 75 degrees F and a 31.6 when tested at 40 degrees F. The 6 5/8” wall panels have an R-value of 22.6 when tested at 75 degrees F and a 24.3 when tested at 40 degrees F. So how 'bout that? Both kits are bare bones: you get beautiful design and structure (SIPs exterior walls & roof, and design documents) and you will need to finish the house with a local contractor. We have created a list of windows, cladding & doors to order directly through the vendor to make it easy on purchasers and their contractor. This then gives you great design, but allows you to choose the systems and finishes that best compliment your lifestyle and budget, thus making it your own.